Prices below include Print onto fine inkjet media, Package and Postage. 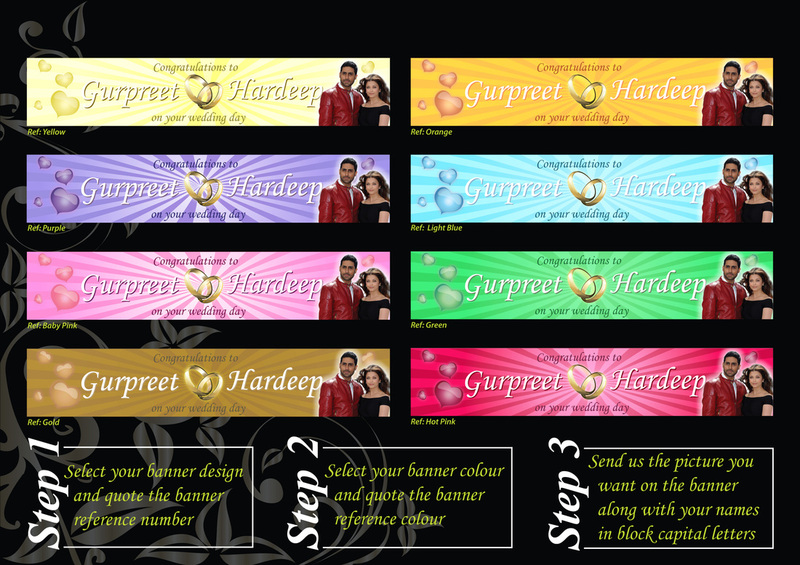 Your personal images can be added to the banner to make your banners even more personalised and extra special. Add this to your cart if you wish to customize your banner with your picture. 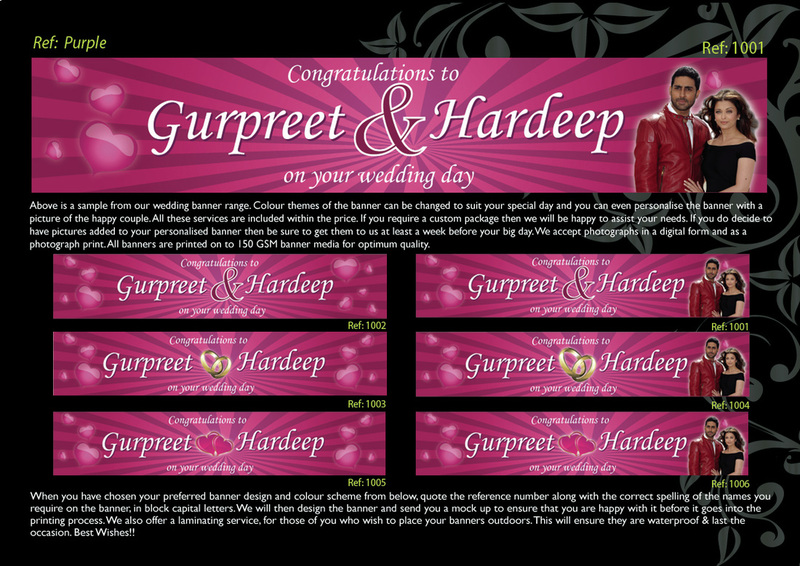 After payment, email the picture over to info@ukweddingbanners.co.uk and we'll send you back over a mock up design. Or you can even upload it to us using the megaupload box below but remember to use your name, email address and telephone number as you meaningful phrase!! After your approval we'll get it printed out and delivered to you. Prices below include Print onto our all **NEW** Vinyl Weatherproof PVC banners, Package and Postage. 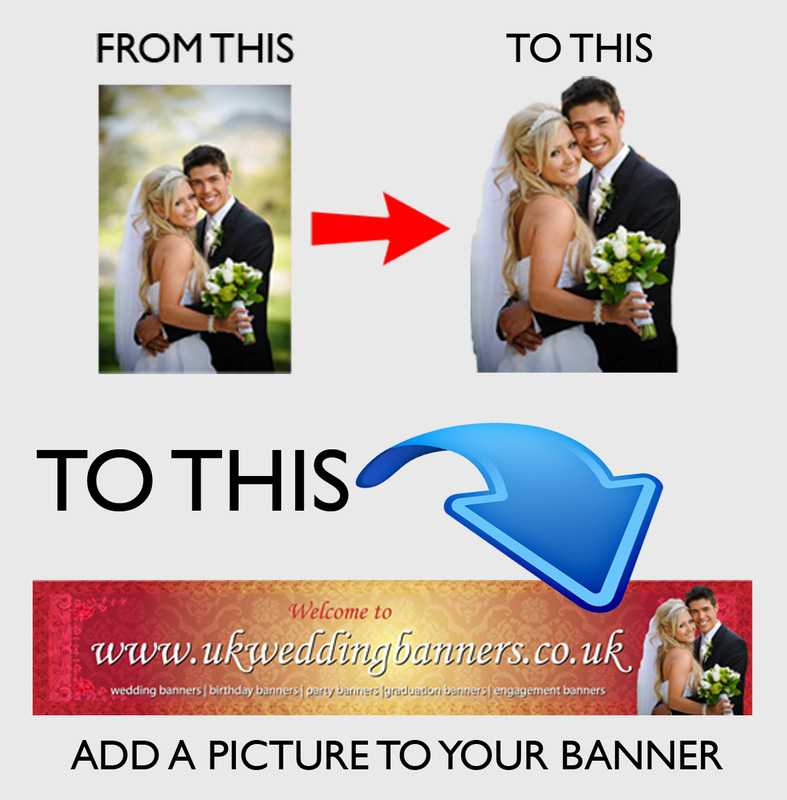 Your personal images can be added to the banner to make your banners even more personalised and extra special.